With gaming keyboards, everyone likes something different. Personally, I hate the ones that have the gaming portion detached from the rest of the keyboard. However, I’m a bit biased, because I actually found the keyboard that works best for me. 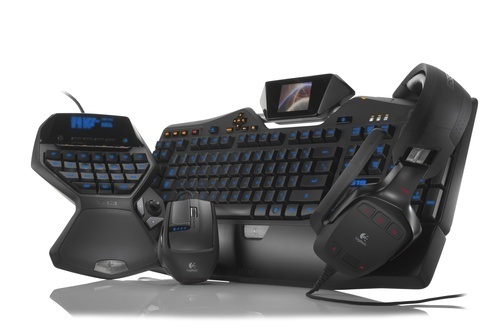 Well Logitech is releasing a new gaming keyboard within their G-series product line. It will be at this year’s CES, which also means it’s not going to be sold just yet. The G19 keyboard of course offers keys that light up (which seems to be a requirement among gaming keyboards). It also has a tiltable 320 x 240 pixel color GamePanel LCD. It can display details about the game you’re playing, and will work with over 60 different games (which includes World of Warcraft). It can also display pictures, videos, void data and computer details. The keyboard itself has 12 different programmable keys with three different macros per key. It also has two USB ports built into it. They will also be releasing the G35 Surround Sound Headset and the G9x Laser Mouse. The keyboard will be out in March and will be sold for $200. Google finally announces Picasa for Mac, and the timing couldn’t be worse.